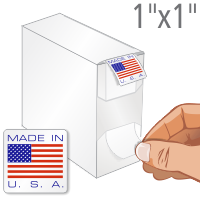 Use a 1" x 1" Made in USA Flag label to show the country of manufacture and origin, and to advertise your company. 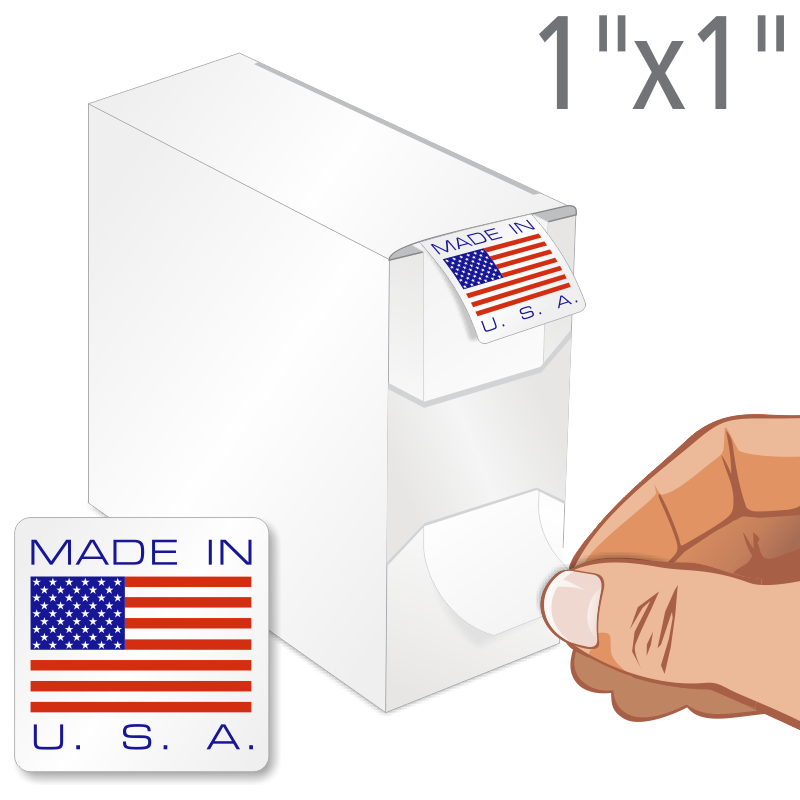 Multiple labels are packed in a handy Grab-a-Label Dispenser Box for ease of use. Proud to mark our products Made in the USA. Great product at a great price with quick shipping!